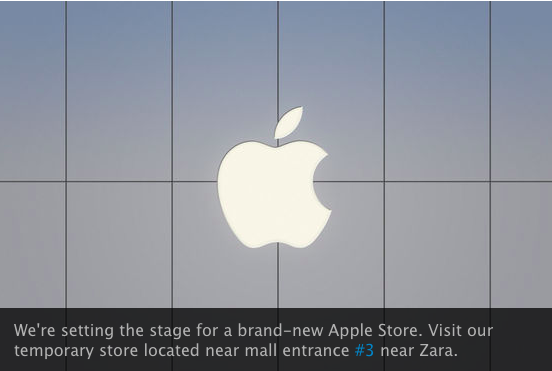 We’re setting the stage for a brand-new Apple Store. Visit our temporary store located near mall entrance #3 near Zara. 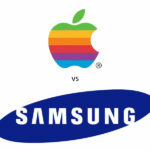 As Apple continues to expand its product line up larger retail locations are required to keep up with customer demand. Earlier this year the Yorkdale Apple Store relocated to a larger and newer location within the same mall complex and also the Market Mall Apple Store in Calgary also expanded and celebrated with a grand re-opening. 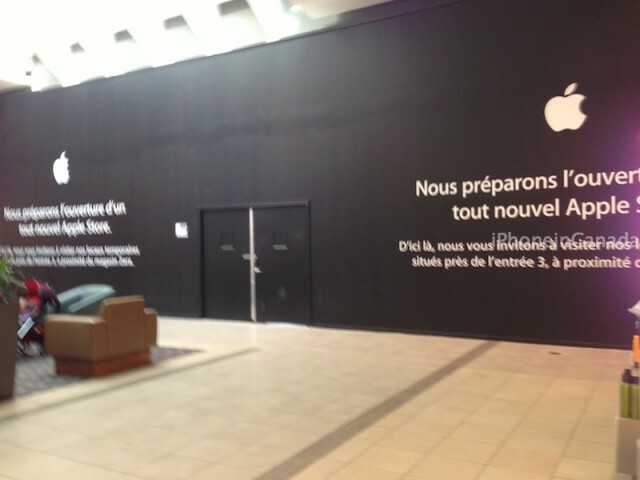 We would expect the same to happen to the Carrefour Laval Apple Store (free t-shirts again!). For those in the area, what did you think of the old store before the renovations started?